There’s no question La Sportiva makes some of the best trail running shoes on the market—they’ve received numerous awards over the years and are constantly among the higher rated shoes in head to head trail running shoe tests. 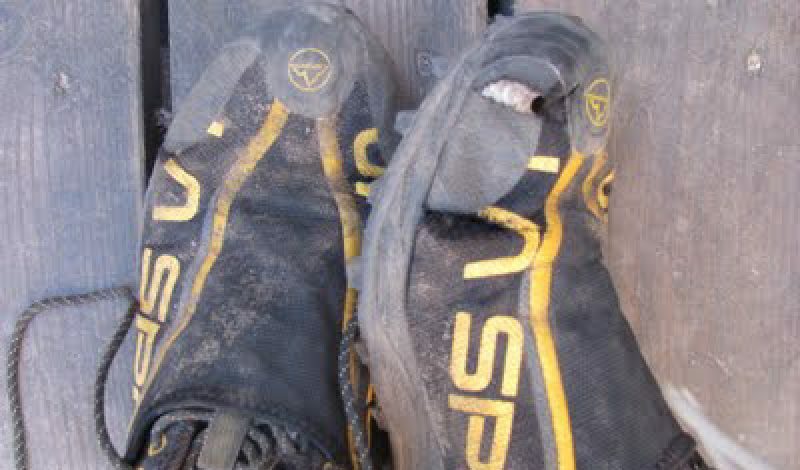 Unfortunately, it appears that the new La Sportiva Crosslite 2.0 (the first update to 2009’s popular Crosslite) may have a quality issue. Jacob Waltz, a dedicated trail runner from Santa Fe, NM, received a pair of Crosslite 2.0’s from La Sportiva before the shoe hit the market. After running 100-150 miles in them, the toe completely fell apart. On average, a trail running shoe should last at least 300, and more like 400-500 miles, before that kind of failure would be acceptable. Check out Jacob’s very thorough report on the issue at his blog, Santa Fe Trail Runner. This may have been a prototype sample, which sometimes have known quality control issues that are corrected by the time the shoes reach stores. We’re interested to see what La Sportiva’s perspective is.